UrbanSake.com – Sake News, Education, Events and More! Getting started with Sake? Check out our Sake 101 section to learn the basics of everything sake. 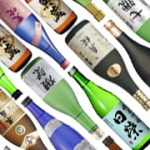 The Urban Sake Directory is your best resource for researching your favorite sakes. Get out and about using our Sake Events Calendar to find the best sake shindigs in town. Sign up on UrbanSake.com to store your tasting notes and chat with other members. It’s FREE!